Vi-Shape Review: Does it Work? 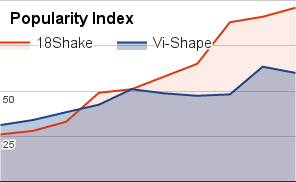 Vi-Shape Review (UPDATED 2019): Don't Buy Before You Read This! 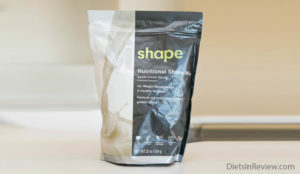 Vi-Shape is a weight loss meal replacement shake made to help people reach their fitness goals with low sodium, reduced sugar, minimal calories, and balanced carbohydrates. There’s over 1,000 recipes offered by the company, and they mention it’s the best tasting shake sold. There are 26 vitamins and minerals, and the company provides a fact sheet listing the specifications of this shake. They claim this is a healthy and fast way to make a potent weight loss blend. It also combines patented ingredients such as enzymes, fiber, and a blend of 3 different kinds of protein. Is there any weight loss benefit from this shake? What have other customers experienced? 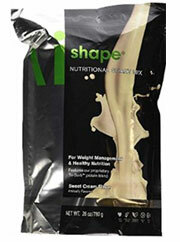 This full Vi-Shape shake review will help you discover the truth about this meal replacement. Soy Protein Isolate: Extract of soybeans made with at least 90% protein by weight. This ingredient has been criticized due to its potential to cause thyroid and hormone imbalances. When the thyroid is damaged, this can increase weight as well as promote many health issues. Damage to the thyroid can also be irreversible. Increased body hair and even hair loss. Loss of energy and restlessness. Of the 12 grams of protein added, it’s unknown how much of it is soy. This is especially true when you’re relying on this ingredient as a meal replacement protein additive. Since your body is getting a high amount of soy, this can increase the possibility for unwanted side effects. Gum Arabic: Thickener made from the hardened sap of the acacia tree. It’s used to help make ingredients hold together better, and it’s used as a fiber source. It’s fairly cheap to produce, and it’s not considered a quality fiber source. Xanthan Gum: Thickener and fiber source made from a mixture of bacteria and certain kinds of sugar. Gastrointestinal stress, stomach pain, and stomach cramps. Sucralose: Artificial sweetener which can be 1,000 times sweeter than sucrose. It’s most commonly known as its brand named Splenda. This has been shown to promote blood sugar issues, and it can also possible lead to weight gain. It’s shown to not be a satiating enough sweetener as well. Inside of this are many different ingredients that provide a low calorie, high fiber, and low sugar product. However, once you examine the ingredients, it becomes clear that there are many artificial and potentially harmful additives. There are thickeners and binders added to help make the product mix better, but they’re also known to potentially cause side effects. The sugar used provides less than a gram which is good, but it comes from sucralose. Due to the many possible side effects from ingredients like this, it reduces the overall quality of Vi-Shape. The 24 serving pouch sells for $63.99. If purchasing the renewal shipment which automatically charges each month, the price is reduced. However, many customers have complained that they couldn’t cancel, and that they were consistently billed each month. This shake is fairly expensive, and this isn’t reflected by the overall quality. Inside are artificial ingredients like sucralose and added flavorings. It’s also made with soy protein, which can potentially cause thyroid and hormone problems. Though the added whey protein is a good quality source of amino acids, the soy reduces the overall quality. This meal replacement is low and calories and sugar, but overall the quality of the ingredients is poor. There’s a lot of ingredients added that are potentially unhealthy when taken in large amounts. When replacing meals it’s critical to avoid taking in repeat amounts of cheap filler additives. Their Better Business Bureau page has a total of 104 complaints for lack of customer service, delivery issues, and lack of a refund. When dealing with multilevel marketing companies, it can be hard to gain a refund. These companies hire regular people to sell the company’s products, and this can lead to miscommunication, a lack of returns, and issues with products. Many mention that they could not resolve their issues with the company, and that the customer service division is not helpful. When you are dealing with a company like this, when you purchase from a seller you’d have to deal with two main groups. First one has to wait for the company to allow the return process to happen, and then one has to deal with the person who sold you this meal replacement. These steps can be time wasting and unproductive, and this is the same issues many customers have experienced. To many, buying this shake and trying to cancel was a difficult process. That’s why so many claim that they would never do business with the company again. This company has one of the highest amounts of complaints on their Better Business Bureau page out of any supplement company. When looking at reviews for multilevel marketing companies, it’s important to make sure that the reviews are legitimate. Many times salespeople will add fake reviews in order to gain more sales. People failed to see any benefit from using shake, and many side effects uncommon to meal replacements were reported. Some believe that the reason for this is the artificial sweetener sucralose; there’s also those that say they think this is a cheap formula that’s overpriced. The kinds of side effects listed included diarrhea, loose stools, headaches, stomach pains, bloating, gas, feelings of nausea, and ill feelings. Though people said the shake was pleasant to drink, overall the side effects were too alarming to continue to supplement with this brand. Conclusion – Does Vi-Shape Work? Vi-Shape uses an effective marketing plan to help lure its customers. That’s why some have decided to purchase it. But the truth about this shake is that users mention that it lead to side effects and many failed to see any weight loss benefits. This is likely due to the formula which has artificial ingredients, binders, and soy protein which studies have shown to be potentially harmful. When choosing a meal replacement, it’s critical to find only natural ingredients, a well-balanced nutritional profile, and many whole ingredients that can provide proper nourishment. 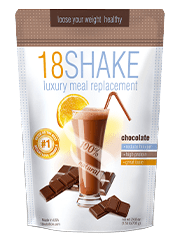 One such brand that won the 2019 award for best meal replacement is 18 Shake. The manufactures even provide real testimonials from people who’ve benefited greatly from this nutritionally balanced meal, and the wholesome nutrition needed for proper weight loss. This shake has only natural ingredients and there’s no GMO soy protein added. It also has great appetite suppressing quality protein and fiber to prevent you from eating more. This is likely why the company offers a great 30 day money back guarantee on 18Shake. So many have benefited from its potent formula, and that’s why it’s the best meal replacement on the market. I have been trying Diets in for fourteen weeks and eating low calorie food,working out every other day at gym, running at gym, practicing meditation. I gaining, get extra sixteen kg in 15 weeks beliving to doctors new. I use to weigh 130 lb and now i am one hundred fifty one lbs!